Welcome to Tip Top Foods! Kormano, Matlock, Meleb, Narcisse, Sandy Hook, Teulon, Winnipeg Beach. Welcome to Tip Top Foods on-line store. 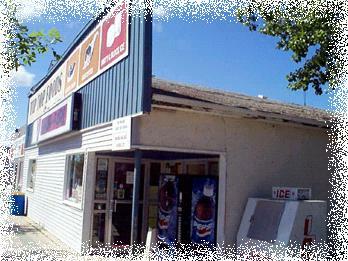 Tip Top is located just across the street from the Lakeview Resort in beautiful Gimli, Manitoba. 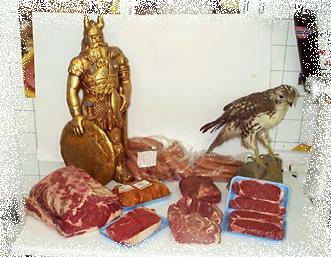 We offer quality meats, groceries, and we feature specialty Icelandic foods. 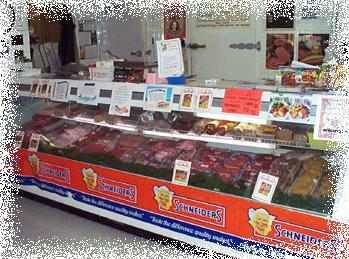 Feel free to contact us with any questions or specialty food orders that you may have. We here at Tip Top Foods will be happy to help you in any way we can! Here at Tip Top we specialize in meats and offer a monthly freezer "Meat Pack" that is both convenient and affordable. Think of us when you are throwing your summer BBQ, office party, or wind up. We can supply you with appetizers, salad, baked potato, steak, chicken or ribs or roast beef, and a gourmet dessert. All this for only $10 per person!